Jaguar's ABB FIA Formula E team principal says the manufacturer remains committed to racing in the championship despite its parent company recently announcing it will cut thousands of jobs. Last week Jaguar Land Rover revealed that it will cut 4500 jobs from its global operations, with the majority of the changes hitting management roles in the UK, and the company is set to start a voluntary redundancy programme. But James Barclay, the FE squad's team principal, stated that Jaguar would carry on racing for the "longer-term" as it fits with the manufacturer's recent drive towards electrification on its road car models. "It's an unprecedented time for the car industry," he told Autosport. "A lot of geopolitical factors are affecting the industry at the moment - a slowdown in China, slowdown in diesel sales and we have that small matter of Brexit in the UK, which is affecting consumer confidence. "So, we have to take some key decisions now to protect the long-term future of our company. [It's] really important we make those steps now. "But at the same time, we also announced that we'll be building electric drive units at our engine manufacturing plant in Wolverhampton and also building a battery plant in Birmingham. "That is a big statement about the future and our Formula E programme, focusing on using it as a real-world testbed for electrification technology and a platform to tell the world that we have world-class expertise in electric vehicles, is really important to our future. "We have to take some key decisions now to protect our future and this activity is very much about our future. "So it's a really important programme - our company is very much focused on the future and we have to build an exciting but also a profitable future. "And this programme is very important to that, in the technical learning but also the communication points with regards to battery electric vehicles." When asked if Jaguar's commitment to FE would be reviewed in the the future, Barclay said: "From our perspective, assuming what we know at the moment, [and] you can never predict everything, but as far as we're concerned, it's a longer-term commitment. "We were the first premium brand into FE, we took that decision early, we're now at the key time when the world's major manufacturers have joined us in the championship as well. 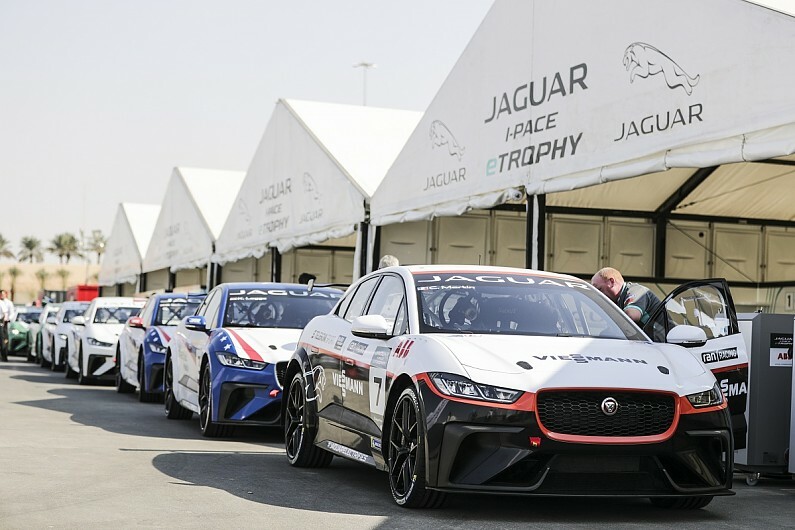 "We've introduced the eTrophy, the new Jaguar I-PACE has proved to be an immediate success for us - it's been very well received by the world's media. "So, from our point of view, there's no doubt electrification is the key to our future. "For us, absolutely, we're here for the longer-term. "But other factors in the world change, we may have to make other decisions. But right now, from what we know, this is our commitment."